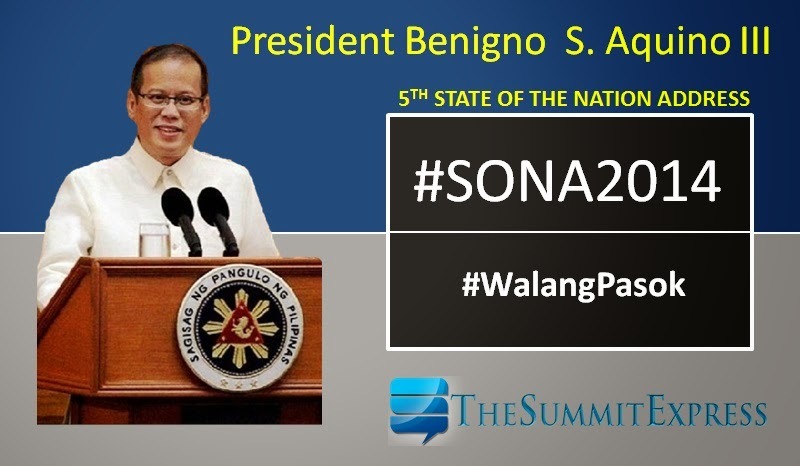 Manila, Philippines - At least thirty two (32) public schools announced class suspensions for Monday, July 28, 2014 to avoid traffic congestion in the areas surrounding the House of Representatives (Batasan Pambansa) where His Excellency President Benigno S. Aquino III will deliver his 5th State of the Nation Address (SONA). A memorandum issued by the Department of Education (DepEd) Quezon City Division announced the schools that will be affected by the SONA and related activities. The Philippine National Police (PNP) already announced the activation of Super Task-Force “KAPAYAPAAN 2014” to provide security and ensure peaceful and orderly activities during SONA of the president. Around 10,000 police personnel will be deployed on Monday, officials said.